We're coming up on my daughter's second birthday which means, by default, that Zephyr's two-year anniversary is nigh as well. The two coincide and though she's our second child and I can't claim, necessarily, that this blog stemmed entirely from new baby angst - the intersection of these two dates prompts reflection. I'll leave thoughts about the joy in seeing our little girl grow and thrive for another place. Certainly in two years Zephyr has grown and, in it's own small way, thrived as well. But, I wonder, to what end? You'll not see any advertisements on the surrounding spaces and I'm a far cry from a household name. I take satisfaction in the recognition I've received from my blogging peers. From the comments I've received from readers worldwide. From the readers who have remained consistently interested. 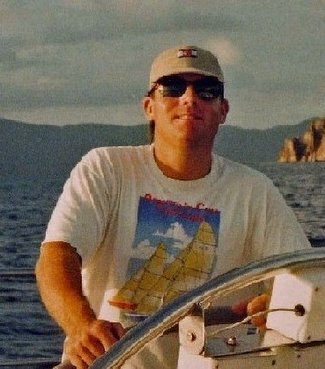 I'm glad to have a chance to learn more about sailing and to be able to write regularly, if briefly, amidst the more mundane aspects of day-to-day life. 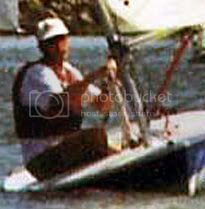 In a way writing Zephyr has helped alleviate the frustration that I don't get to sail as regularly as I once did. Or that with all of the expenses that come with supporting a family, I've yet to own an sailing boat (though having worked on boats for years my knowledge of hidden costs tempers this regret somewhat). Zen - says the all knowing Wikipedia - is a form of Mahayana Buddhism that places great importance on moment-by-moment awareness and 'seeing deeply into the nature of things' by direct experience. I'm not a practicing Buddhist but I've always been attracted to this concept of "Zen" and it's implications in terms of awareness and experience. And I think that - when looking back on two years of writing about, " Sailing culture for voyagers, zealots, poets and populists" - being aware of the sailing realm through covering it on a near daily basis coupled with the chance to relive and relate my past experiences as a boat bum to an audience, however modest and ephemeral, have been the two most rewarding aspects of the past 24 months. Happy Birthday to baby Zephyr. Once again you have summed up what this sailing and blogging thing is all about much more eloquently than I could ever hope to do.